Pioneer in bimetallic barrel technology, manufactures bimetallic extrusion barrels. These are produced so as to provide highest quality standards. The most innovative wear resistant packages for good performance, quality and optimized processes are offered by Sanity. Wise selection of the optimum alloys for the wear resistance requirements and specific abrasive provides a good and an extended work life. Precision fit between screw and barrel for a longer period of time provides an increased product quality and throughput. Engineered barrels are developed with full precision to provide superior physical and chemical properties for a full domain of process environments. There is better straightness during heat cycles, less inherent stress, through high quality proprietary backing steel for the ultimate quality in strength and straightness. Correct casting, repeatability, and preparation, uniform bimetallic carbide distribution and maximized hard surfacing compatibility ensured by computer controlled furnace. 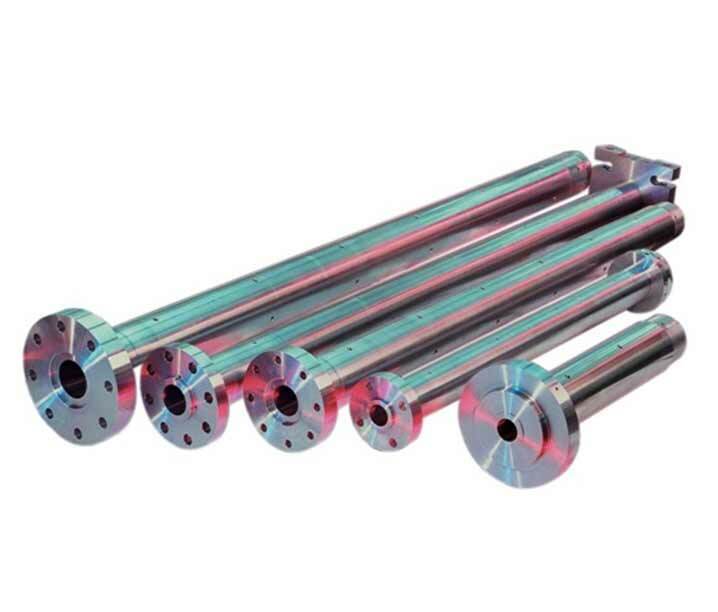 Provides stronger and straighter barrels up to 6100mm (240’’) and that too without seams.